The Nokia 9 is probably the most anticipated smartphone in the brand’s Android era. The reason for that is only one: the unique rear camera setup that includes not three, not even four, but five cameras! 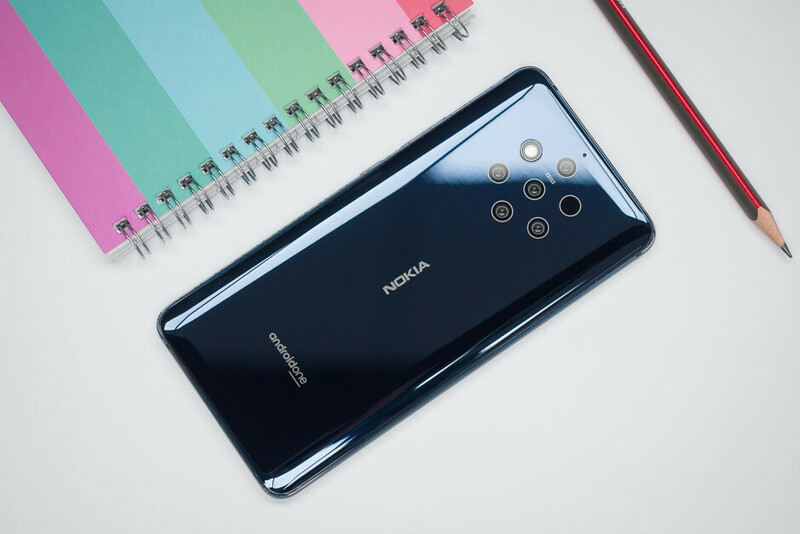 But a phone is more than just a camera, so let’s start our exploration of the Nokia 9 PureView the way we always do. The Nokia 9 PureView dresses the part. With Nokia’s signature metal trim around the edge and imposing stature, it’s ready to take the spot as the brand’s flagship phone. The wait for the arrival of the Nokia 9 was long, however, and it shows. The front looks generic and won’t really impress you. With its big (for 2019) top and bottom bezels, it looks a bit dated and reminds us of the LG G6 (which came out in 2017). Still, for some people, that kind of look is better than a notch. 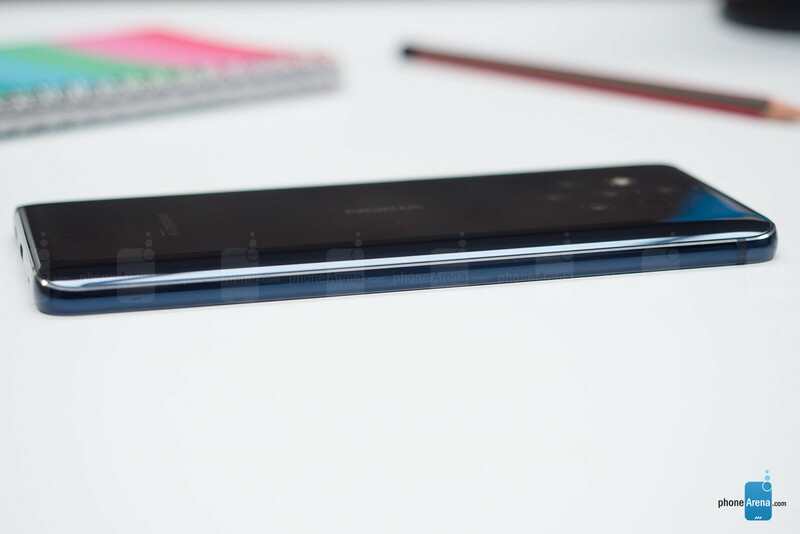 But compared to the Galaxy S10+, for example, this looks like a phone from another time period. The dull impression the front gives is nowhere to be found on the back, however. The full camera assembly consists of the five main cameras, the flash, and the ToF camera, all identically shaped and positioned in a hexagon formation. Best of all, the components are flush with the back of the phone, so there's no camera bump, making the back panel as sleek as it can be. The cameras are a verified conversation starter. The arrangement sparks curiosity even in people that aren’t that much interested in phones, just because it looks so unusual (we’d even call it weird). If you decide to get this phone, be prepared to answer the question “What do all these cameras do?” over and over again. When you get bored of that, just keep your phone face up. No one will look twice at it. And while the slick back is not too slippery when you’re holding the phone, when you put it on even a slightly slanted surface, it starts to slowly drift like a tiny glacier. If you’re not careful, you might hear a clank a couple of minutes after you’ve put it down. Beyond that, there isn’t really anything intriguing about the Nokia 9. 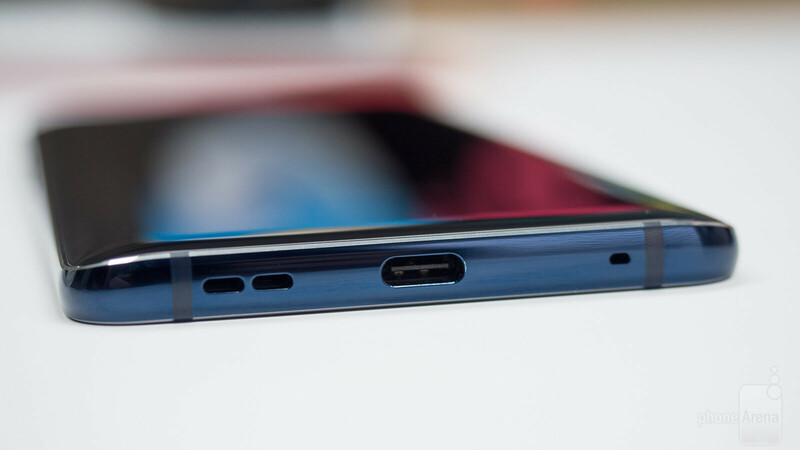 You get a power button and a volume rocker on the right and USB Type-C on the bottom. No Google Assistant button is present on this device, which is another tell-tale sign that this phone was supposed to be out a lot sooner. Overall, the Nokia 9 PureView a hefty device, with some proper thickness and weight to it. 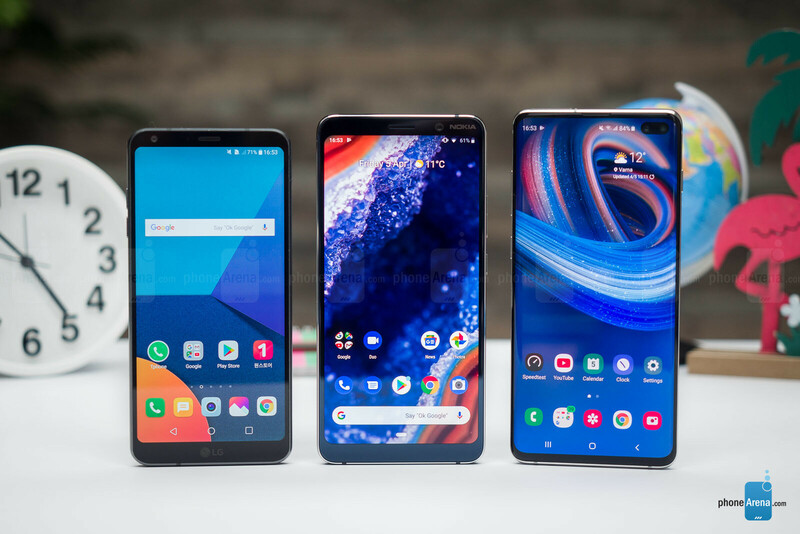 It’s definitely closer to the large form-factor devices like the iPhone XS Max, the Galaxy S10+ and the OnePlus 6T despite having a smaller display. The Nokia 9 has a 6-inch OLED display with a resolution of 1440x2880 pixels, which results in sharp and clear visuals. While you can't adjust the resolution, you may switch between three display modes: Vivid, Cinema and Basic. Vivid has the most intense colors, while Basic is a bit dulled down. There’s also a “Dynamic” mode, which will switch between the modes depending on what you’re doing with your phone. There’s also an option for always-on display, which you’d probably want to use since the Nokia 9 has no LED notification light despite the abundant real estate above the display. 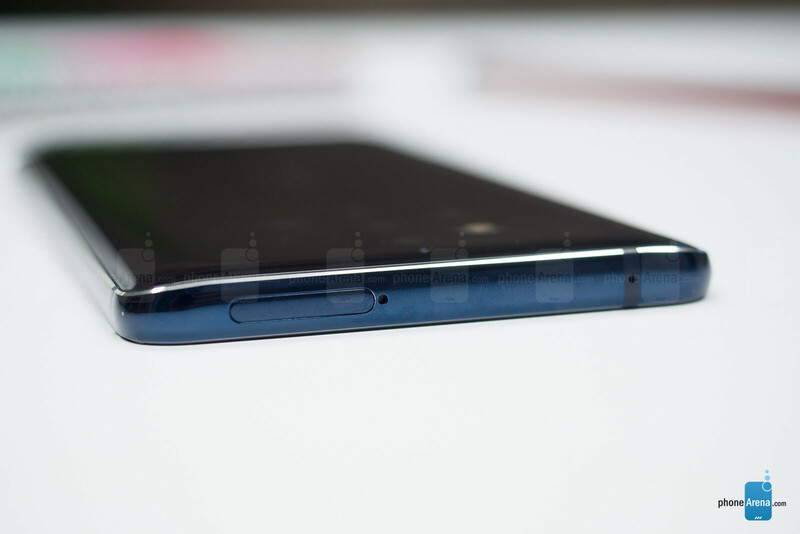 The Nokia 9 has an optical in-display fingerprint reader, similar to those on the OnePlus 6T, Xiaomi Mi9 and Huawei Mate 20 Pro. What’s not similar, however, is the performance. Every time we try to use it, we get messages to press harder or to try again. Very often, it won’t even try to read our finger. Okay then, you might say, there’s always face unlock! True, but first, it’s not as secure, so if you’re really worried about people wanting to access your phone (or you have to authenticate payments), it’s not an option. 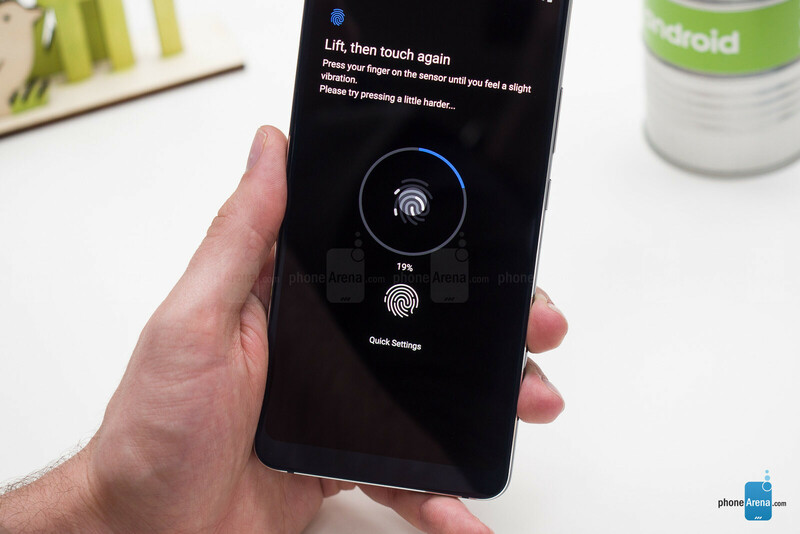 And second, it’s not much more convenient than the fingerprint reader. It’s not only slow, but it also randomly gets bad reads, even in good lighting, forcing you to use the fingerprint reader. Or to simply enter your PIN. Those issues combined create a feeling of uncertainty you get every time you pick up the Nokia 9, which is so frustrating it’s enough to give up on the phone altogether. Granted, those things can theoretically be improved with software updates, but when people pay a few hundred dollars right now for a Nokia 9, that is what their experience will be like. And it’s simply unacceptable. So, once you've finally passed the obstacle course that is unlocking the Nokia 9, what are you greeted by? Well, you get Android One, or as some people like to call it: „stock Android“. Now, Android One phones have their advantages: they are simpler, get timely updates, and lack bloatware and potentially unnecessary features. But it’s not only butterflies and rainbows either. Along with all the annoying apps that clutter your home screen, the “pure” Android gets rid of some useful things as well. You get fewer settings and customization options than what you might find on other phones. It's a simpler experience overall, but you don't have things like a proper, system-wide dark mode or an easy way to pull down your notifications – conveniences other phones do offer. There's also the somewhat annoying semi-gesture interface of Android One, and there's no way to switch back to classic on-screen buttons. The Nokia 9 PureView has the Snapdragon 845, Qualcomm’s 2018 flagship chip. HDM Global, the company behind Nokia phones, explains that decision with the long development process required to make the complex camera array work with the mobile system. Of course, that’s not a bad chip by any means, so performance is more than decent. You can play PUBG on high settings without a problem. After a while, the phone does get a bit too warm, but it's not unbearable. During non-intensive activities, you shouldn’t notice any lag or delays, thanks partially to the aforementioned Android One software. As it’s abundantly clear, this phone’s main focus is photography. The five camera sensors at the back are all 12MP and they work together for every picture you take. 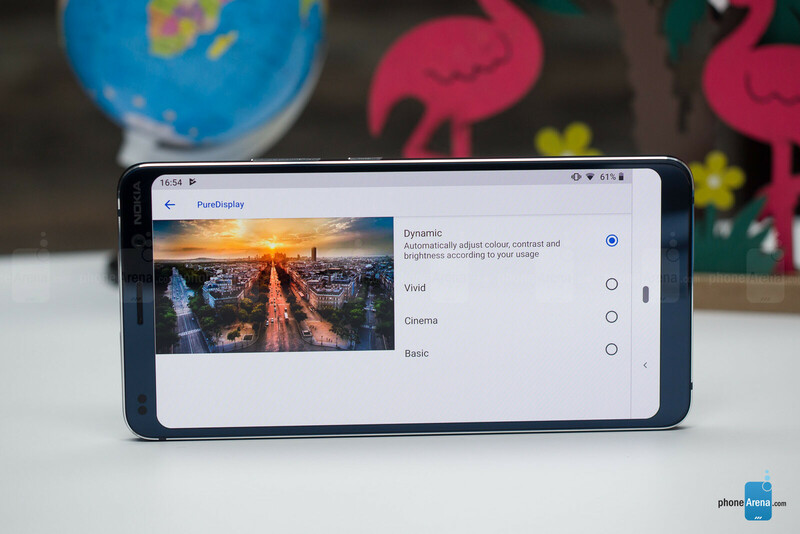 Unlike other phones where one camera is the main shooter and it’s paired with an ultra wide-angle camera and a tele-lens one, here there’s no optical flexibility. Two of the sensors are RGB and collect color data, while the other three are monochrome and take care of light and shadows. The idea is to have a sharper image with more details in every part of it. A typical single camera achieves this through HDR – by shooting multiple images in quick succession and then combining the best parts of them in software. With the Nokia 9, there is no HDR mode toggle in the camera app because practically, every shot is an HDR shot. But instead of taking a burst of pictures, the phone shoots with all five cameras at the same time, which should reduce blur. The downside is that each camera takes a picture from a slightly different angle, so the end result depends on how well the images are processed and combined. This leads us to the Nokia 9’s camera software. 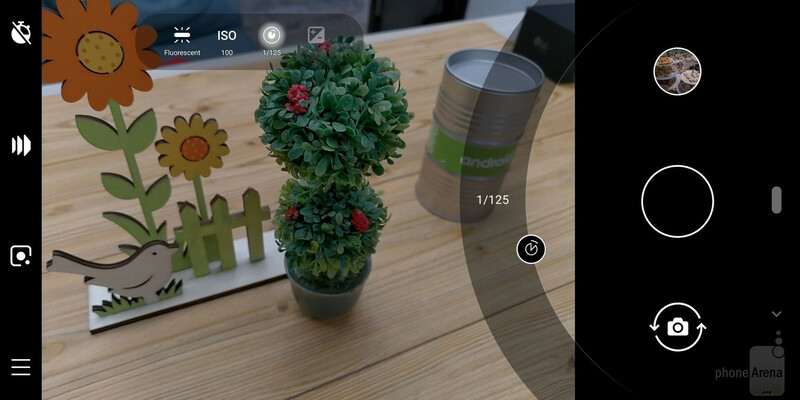 Nokia’s camera app is far from perfect, to put it mildly. Design-wise, it’s pretty standard: you have the different modes at the bottom and quick settings at the top. When you start using it, however, the troubles begin. The app is annoyingly slow even when simply navigating, and switching from one mode to another often takes a few seconds. The initial snap of the photo is quick enough, but as we just mentioned, this phone needs to process a lot of data for each shot. So when you take a few pictures and you want to see what you’ve got, you’re greeted with a slightly blurry image and a message that says “processing”. When that’s done, you get your final image. The problem is that all that processing is sometimes a bit too much for the camera app and it crashes or misbehaves in a few different ways. Sometimes, it just closes altogether after you’ve taken a few quick shots, only for you to then discover that not all the pictures you took are actually in the gallery. Other times, it announces with a message that it can’t connect to the camera itself. And in one occasion, it straight up butchered the processing, which resulted in a glitchy photo. The fact that you don’t know when or what will cause the app to crash means there’s little you can do to prevent it. So if there’s a moment you need to capture, you point, shoot, and hope for the best! You can tell that the phone is struggling to keep up with with the needed processing by how warm it gets while doing it. This, of course, means higher battery drain as well. And it’s not like it takes a couple of seconds to “fuse” an image. Normal photos usually take between 5 and 10 seconds to process, while bokeh ones might take upwards of 20 seconds to complete. It doesn’t take much effort to queue a bunch of photos and make the phone start sweating. Let’s get to the gist of it. You’ve successfully taken the picture, it’s been through the fusion machine, and you have the final result. How good is it? Well, here’s the best experience we’ve had with the Nokia 9. You’re looking at a blurry overexposed picture, twiddling your thumbs and staring at the spinning animation wheel while the phone is doing its thing and then suddenly, BAM! The photo turns from an ugly duckling into a swan in the blink of an eye! The change is so big it may shock you the first few times you see it. You get the detail, the colors change, the bokeh effect appears. It all finally comes together, literally and figuratively. Here’s the thing, though. That before-after effect makes you perceive the photos as better than they actually are. Now, that doesn’t mean they’re bad. In fact, overall, we’re pleased with the pictures taken by the Nokia 9. However, for all that hassle you’re going through, they’re not really as amazing as you might hope. Regular daytime images aren’t much different from those taken by pretty much any other modern smartphone. They look sharp, maybe even too sharp, depending on your preferences, and they are very detailed indeed. But nothing about them makes you say “This blows every other phone out of the water!”, because it just doesn’t. If there’s anything that stands out, it’s the lack of vibrancy in the colors. Now, that might be due to other phones artificially boosting colors and skewing our perception. 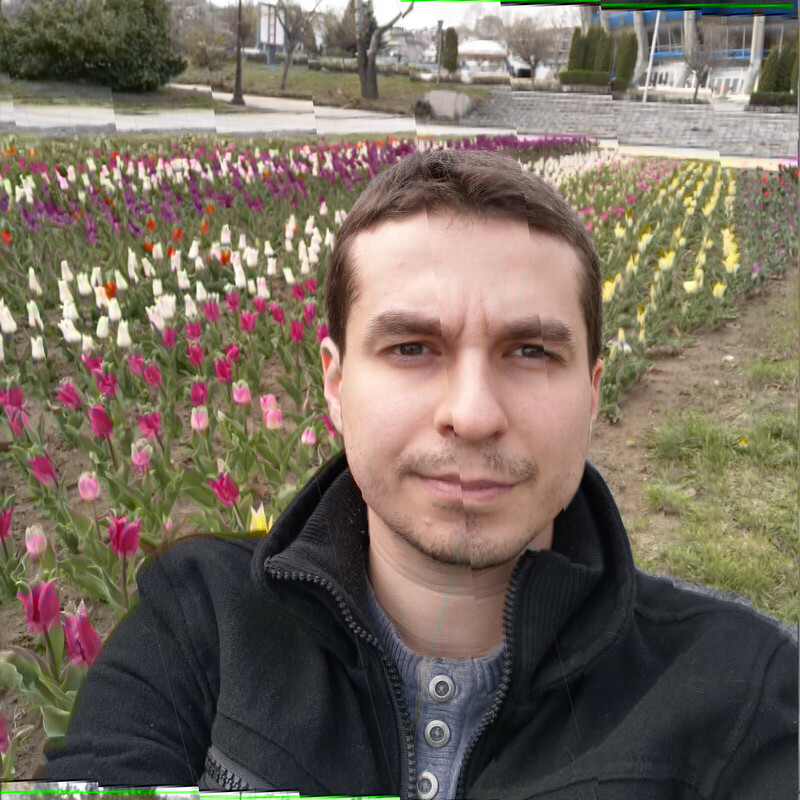 Either way, most pictures look as if there’s a slight tint to them, even compared to real life. At night, the Nokia 9 actually performs worse than most other flagships. The promised high details and tons of light captured just aren’t there. And that’s when there’s enough light in the picture. Don’t expect anything near Google’s Night Sight or Huawei’s Night mode in ultra-low light. The only areas where this phone has an edge is bokeh and dynamics range. 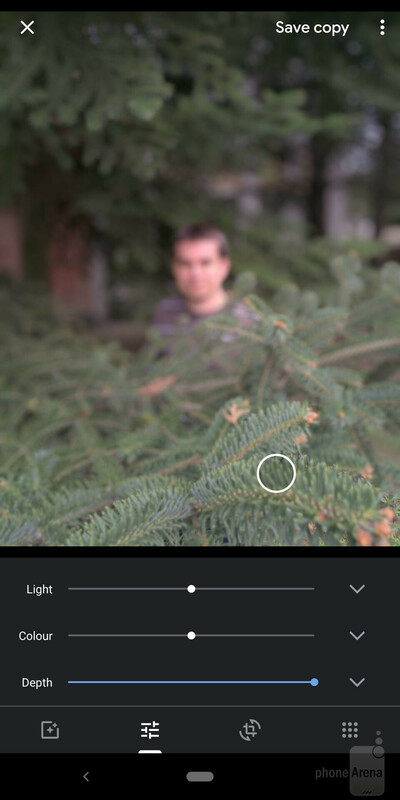 When you have the Depth mode on, you can adjust which object in the picture you want to stand out in a sea of blurriness. That’s definitely a cool feature and it’s interesting to tinker with, but it’s not something you’d be doing very often, if ever. Even without doing that, however, portrait shots look good. With challenging light conditions, the results are hit or miss. Sometimes, the Nokia 9 does great. Other times, the colors seem off. Generally, the images tend to look a bit darker than reality, giving them a gloomy vibe. It seems that Nokia thinks so as well, and often you’d see a prompt that says “fix lighting” while browsing pictures, which, if pressed, will make the picture lighter. Now, those already familiar with the Nokia 9 will say: “But what about post-processing? It can shoot RAW and you can make your pictures awesome in Lightroom!” And that is definitely an option. We’re sure you’d be able to achieve better end results than those from other flagship cameras by doing it. But let’s be honest: how many people will take a picture, then open Lightroom or another photo editing app (on their phone! ), import said picture, tinker around with settings and then export it? 5% will be a generous estimate. And all that because their phone couldn’t do its job properly in the first place. Of course, there’s always the edit function in the gallery app which does offer some quick improvements with just a couple of taps. But again, you need to do something extra just so you can reach the level the phone should have been at to begin with. All in all, the Nokia 9 PureView is a one trick pony that does its trick successfully half the time. It has five cameras, but as far as you’re concerned, it might as well be one. You don’t get any of the variety you do with other phones. And yes, the Pixel phones do have one and lack that variety as well. And they still take better pictures. After all the hype and anticipation, the Nokia 9 just doesn’t deliver on its promises. With the main camera (video uses only one of the five cams), you can shoot videos up to 4K, with or without HDR, and all videos top at 30FPS. 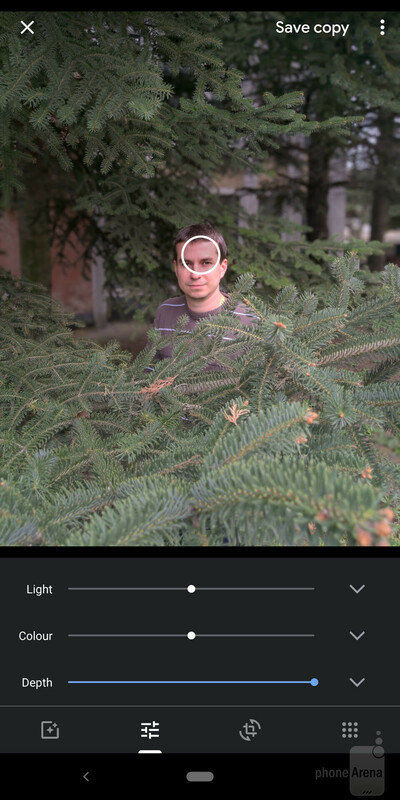 HDR is turned off by default, and we suggest you keep it that way. When turned on, you lose image stabilization even at 1080p (at 4K there’s none anyway). Also, HDR video is incompatible with most devices and may not work with social media, so don't record any unless you really know what you're doing. At regular 1080p resolution, the videos look a bit soft, but are decent overall, and the image stabilization works quite well. There’s a Picture-in-picture option (for photos as well) that theoretically allows you to film something with the main camera and your reaction to it with the front-facing one at the same time. We say theoretically because every time we tried to use it for a video, the camera app would freeze. When it comes to sound, the Nokia 9 isn’t really a great performer. The single speaker at the bottom is the sole provider of audio when playing a video or music and while it can get loud, it sounds very tinny at max volume. A weird quirk is that the volume doesn’t drop very gradually. Instead, when you go just a couple of steps below maximum, it suddenly gets a lot quieter, and after that, there are just more levels of quietness. Call quality is good. You can hear the other person loud and clear and so can they. With its 3300mAh battery, the Nokia isn’t a champ in the battery life department either. The unimpressive benchmark result is in line with our experience during regular use. 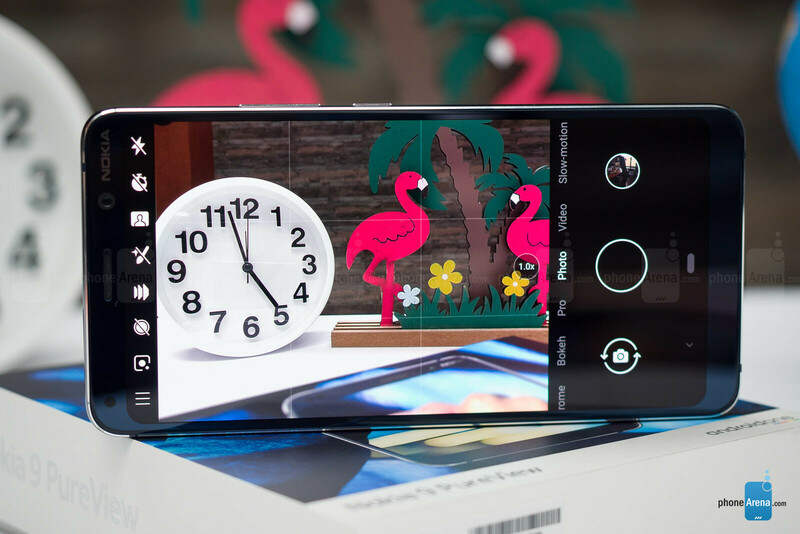 Assuming you’re doing what this phone is meant to do – taking lots of pictures – you might get results even worse than those. During our day of snapping samples, we noticed that the phone lost more than 50% of charge with just a couple of hours of screen on time, and the biggest drainer was Google Photos. When it comes to charging, the phone supports not only fast wired charging, but wireless charging as well. It does get quite warm while on a wireless charger, however, which is not ideal for the overall health of the battery and the phone. 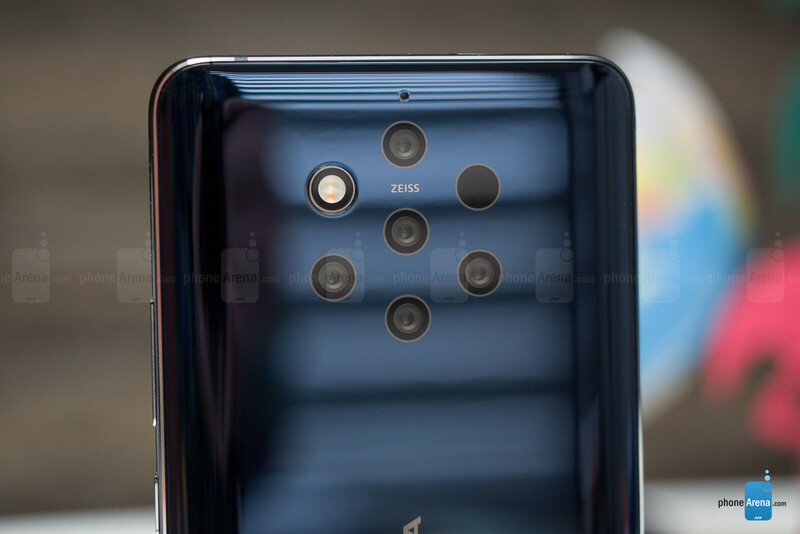 We were hoping that Nokia will shake up the smartphone camera scene with its innovation and amaze us with what the Nokia 9 PureView can do, but sadly, that’s not the case. As it stands, the Nokia 9's camera has an edge in dynamics range and can apply a faithful bokeh effect, but that's about it. And if the phone didn't lag behind in many other areas, that might have been enough for us to recommend it. If you’re someone who is very serious about photography, you’re better off buying a proper camera and editing your photos on your computer. 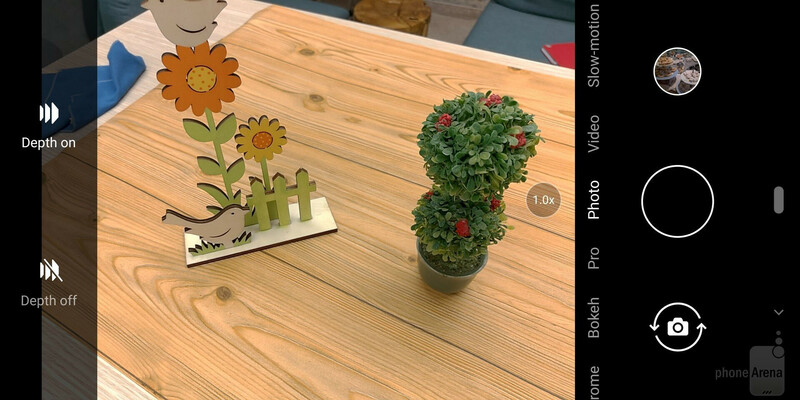 And if you just want to be able to snap great-looking pictures with your phone and like the Android One experience, then a Pixel phone will be a better fit. 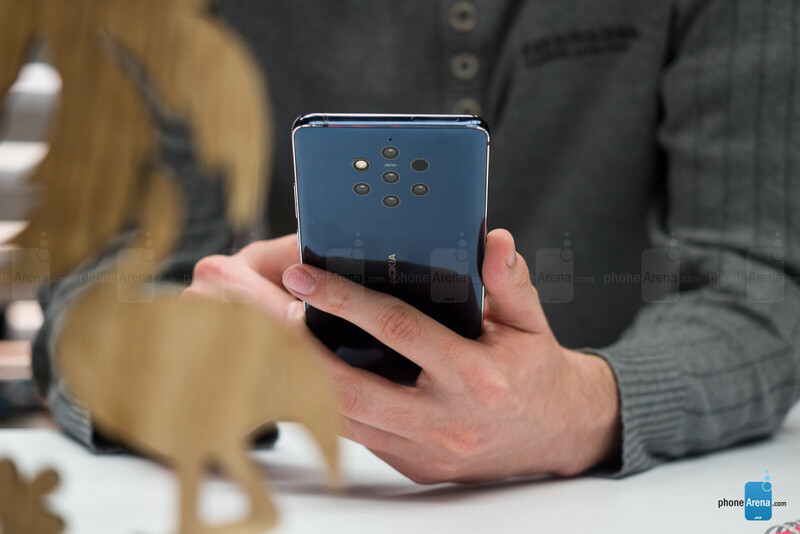 If the price goes down and Nokia fixes the software issues that are plaguing the phone, it might be worth a consideration, but until then, there’s no objective reason to pick the Nokia 9 over the available alternatives. Wow. Finally a flagship that scored lower than the 6.0 of the BLU VIVO XI+. I can't wait to read the comments on this one. well, pretty much Nokia has failed with this one! No reviewer praised it. it's sad. I really wanted a true Nokia flagship but it seems we have to wait some more. Nokia has delayed this phone multiple times and this is what they put out. I already knew it was going to be disappointing, so I stuck with the 7.1. Well on a rare occasion, I agree with you on this one. Major software updates are needed to get the Nokia 9 where it needs to be and that remains to be seen if HMD is going to put in the work to do it. I sure hope HMD is up to the task of fixing whatever they can on this phone. If it can be redeemed, then there will be considerable hope for their flagships yet. I suspect that it will be a total write off for them. You suspect that, while yet acknowledging that Essential, a much smaller company with much less resources at their disposal, eventually fixed the majority of their problems on the Essential phone over the course of a couple of years... why wouldn't (or couldn't) HMD do the same? In this situation, I do agree with you. I was taken a bit aback by the level of disappointment, but like I have said before, I don't go for the flagships often. You were smart to stick with the Nokia 7.1, it seems. I'm thinking of trying the Nokia 3.1 Plus, 3.2, or 4.2, or a successor to one of those, for my next phone, as long as HMD's troubles in the flagship class don't migrate downhill to their mid- or entry-level phones in the next few years. I don't have any regrets about the 7.1. 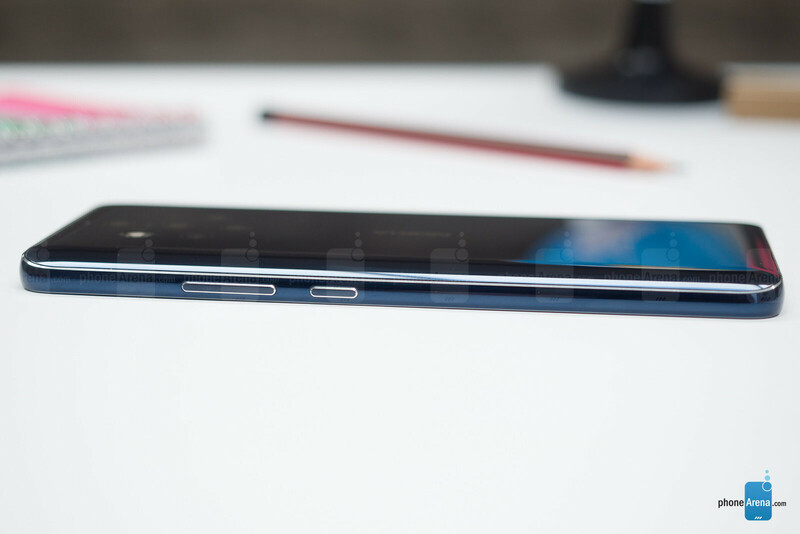 It works just as well as a flagship and it gets better support than most flagships. LG for starters. It is a shame about that Nokia 9 Pureview. And while I do believe that HMD will get it right within a few updates, it is unacceptable to me that they released a product like this with these issues. In that respect, they have fallen into the same category as Pixels, the Essential Phone, and iOS. They have been rock solid with their midrange offerings, though. My Nokia 7.1, 6.1 and Nokia 6 have been great. But I am looking to now get the OnePlus 6T, as early as within the next couple of days. It's a shame that the Essential Phone is called out as a scapegoat for Nokia coming up short with the Pureview. The funny thing in Nokia's case is that they have multiple smartphones out, so they should have been on the ball whereas Essential was their first device, and it did better than many other OEMs first devices. I'm sticking with my 7.1 as it is the better phone than the Pureview, something I pointed out before when I wasn't feeling the Pureview not wanting to cop that jawn. Just my thoughts on the matter. Yeah. I kind of missed Nokia's great products. It has been maybe more than 10 years since the last time I have and used Nokia products. Yeah, Essential was an unfinished mess, much like the three generations of Pixel smartphones. It's funny because I have a LG G7, an Essential, a BLU VIVO XI+, and an Alcatel 7. All flagship phones for their manufacturers upon release; and the Essentials only short coming is it's camera. But running the G Cam port from XDA it fixes some of the issues. The Essential is actually a solid phone now. It's good enough that I'll never sell it, I'll always keep it in my arsenal until it dies. I agree. It's good to hear from people that have actually used the Essential phone and thus more qualified to give an unbiased opinion on it rather than repeat the same tired statement over and over again like a broken record. Essential is far from being an "unfinished mess." Essential got good after the updates. I’m not denying that. But let’s not act like it didn’t face a multitude of issues out that gate that needed to be corrected. And like that, I suspect the Nokia 9 Pureview issues will me corrected, and at a quicker pace, imo. But one can’t help but draw parallels for comparisons sake. It’s the blind fans that can’t accept the facts for what they are, choosing to feel “attacked” because someone spoke the truth, choosing to call the truth a “broken record”, or “tired statement” when they themselves are extremely guilty of those same things that they claim others are. I don't think so. Please browse multiple sites for review and none of them has got anything good to say about this phone. 'Nokia' is a name that generates trust of quality and reliability in all of us. I think, this phone is the first that has breached that feeling. I think they paid them to get such a high score. I haven't seen one reviewer who was impressed by this phone, it's laggy with a useless fingerprint scanner, and a camera that can give you great results if you're willing to spend some time tinkering with the results that the main camera gives you. But if you just want a point and shoot camera, it is slow and gives you average to good pictures at best, plus the videos are mediocre again at best. I think Nokia really fu*kup with this phone. It's not just Phonearena. Every other reviews from different source also paint the same Negative points mentioned here. Not even an Apple sticker can save this one in it's current state. Yikes. I'm having flashbacks to the Essential Phone review. Ok, but in those times, there were a few websites who had good reviews for that phone. But this time, no one has got anything good to say about the 9. True that, but the Essential Phone was indeed a mess. There is no excuse for the “Father of Android” to have released such an unfinished product that took way too long to get right, but the apologist like a certain someone here (not you) will always find an excuse. 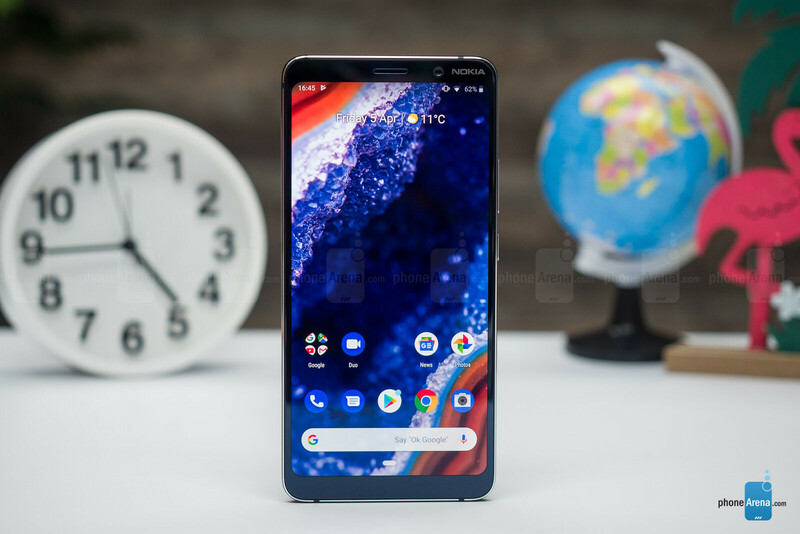 The Essential phone got mixed reviews when it first released compared to the very negative reviews of Nokia's disappointing dud, but the Essential phone received multiple QoL updates throughout its release period that made it an even better phone that was far from being an unfinished mess that comment 37 continues to spew on this article. I'll take a few mistakes from the "Father of Android" over this major mishap. This is like the HTC Thunderbolt and the BlackBerry Storm all over again. The Essential Phone got mostly negative reviews when it first came out. It was a disappointing dud. But just like it had received a multitude of updates to correct its issues, I’m certain that the Nokia 9 Pureview will as well. HMD has already stated that they are working on updates to fix the issues. What’s being said about Essential by me is factual evidence, and not deflection from it like comment #48. I’ll take a few missteps early on from a HMD, who is known for pushing out speedy updates, as opposed to the length of time it took for the “Father of Android” to correct those “major mishaps”. However, this is reminiscent of the many issues of the Pixel line.